Fresh off the back of 2-1 ODI series victory against England the Australia one-day side are gearing up for a seven-game tour of India to kick start their summer. Captain Michael Clarke has been named subject to fitness by coach Darren Lehmann, while Brad Haddin is back in the side and Mitchell Johnson get the nod after fruitful performances against the English this September. Clarke is suffering from chronic back pain, however, and with the next Ashes series just a few months away is expected to miss most of the tour. Having won nine of their last 12 completed games this Aussie team don’t exactly require Clarke, although he could be useful against a rampant India ODI outfit. Both teams are on form; separating India and Australia in the cricket betting odds will be difficult for many punters. A developing Virat Kohli-led team has just breezed past Zimbabwe and the team have lost just five ODIs all year. Spinner, Amit Mishra, could force a way back into the side and young Bhuvneshwar Kumar is developing nicely. The big guns that were rested for Zimbabwe will return and fans can rely on MS Dhoni’s experience – along with quality openers, Rohit Sharma and Shikhar Dhawan – to get the job done. 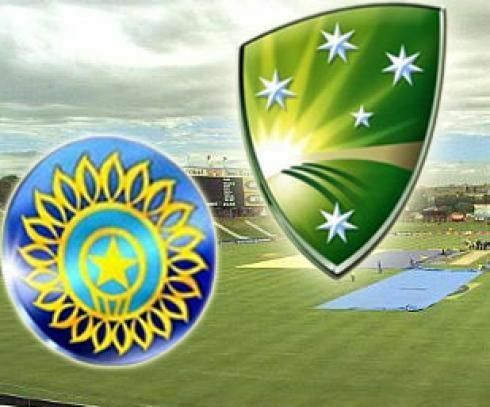 However, previous results suggest Australia, who finished bottom of their Champions Trophy group, can get a series victory against July’s title winners. Lehmann’s men beat India 4-2 when last touring in 2009 and by the same result in 2007. They proved against England how effective their top order can be on its day – something lost during the Ashes – and Johnson’s return gives this seam attack some zip. It really is too close to call. Cricket betting fans should avoid gambling on a series result and instead back individual players to make the runs. Shane Watson still has a point to prove (despite 143 against England at the Rose Bowl) while Sharma has batted strong for India A recently – two key figures in what should be a gripping seven-game series. Mitch Is Back With a Bang !! !